Blame the lingering impact of Footloose, but small towns aren't exactly known as bastions of dance music. When new stars do groove their way onto the floor, they're usually big city club kids like Lady Gaga. But this rule has met its exception with Mia Martina. The up-and-coming clubland crooner-the sensual voice fuelling the accordion-inflected smash "Stereo Love" and its fast rising follow-up "Latin Moon" was born and raised in St. Ignace, a tiny New Brunswick village of about 500. Martina began singing while still knee-high and spent her childhood being driven back and forth to the closest "city," Moncton, for music and voice lessons. "I wanted to be a star," she laughs. But for a small-town girl, it seemed a pipe dream. "I pushed it to the side so I could find something else to do." Fate had other plans. After high school, Martina headed off to Ottawa for university where the teenager happened upon an ad for an internship at a local label, CP Records, which was making a name for itself with R&B smoothie Massari and hard-edged rapper Belly. "Oh my god, yeah, it was totally different. I wasn't use to the parties, the cars, the jewellery and all that. It was totally different. I was out of my element," says the singer who was then so quiet her bosses kidded that she was mute. "I never told them that I sang because I was shy. But after a year I finally got the guts. My passion was music, that's what I'm good at, so maybe this was God saying this is my chance. I had to speak up." After impressing CP CEO Tony Sal, Martina went from delivering CDs to radio stations and office admin work to singing backup in the studio for Danny Fernandes and Belly, the latter of whom became her mentor. "Belly is so talented, not just in hip-hop and R&B, but as a songwriter he's so amazing. He taught me how to find my own sound as an artist." 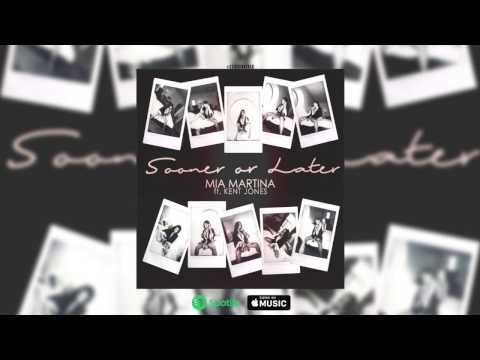 Martina wanted to bring soulful R&B to dance music to create an emotional hybrid that drew inspiration from Sade and Kylie Minogue because, as Martina, notes, "they make timeless music." Success took awhile to arrive, but once it did, it took off. Dance music's biggest label, Ultra, was looking to remix a Euro hit by Edward Maya called "Stereo Love." A series of serendipitous events, including a pre-Idol J.Lo declining, ended with the untested Martina getting the gig last summer. Within a couple weeks her vocal was recorded and released. It proceeded to blow the hell up. "I was picking up my dry cleaning and was like, Oh my god, that's me!" she recalls of hearing her voice for the first to me on the radio. "I went into my car and I cried. It was so crazy. This was my dream since I was a little girl. I come from such a small place, those things just don't happen. It was a very surreal experience for me. It still feels surreal." Her first ever show was in Miami in front of six thousand people. "I felt like I was in another world. The fans loved it and it was so amazing to see that. That was my rush." A hundred shows followed, as did a platinum plaque for "Stereo Love." The song went top ten on the Canadian pop charts while ruling radio, topped the US dance charts, was nominated for a dance Juno and an MMVA for "most watched video" and, thanks to a Don Omar remix, became a favourite in Latin communities throughout the Americas. 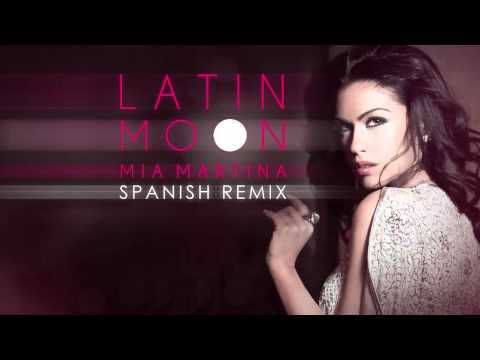 The trilingual singer followed with "Latin Moon" and the half-English, half-Spanish hot weather tune "Summer Love," which she dubs a spiritual sequel to "Stereo Love." Martina will then keep the summer going well into the winter when her debut album Devotion drops in August. Combining epic ballads ("Missing You") with uptempo club bangers ("Turn it Up"), Martina's dance-pop boasts crystalline production and a nocturnal soul. It's a record designed to make you lose yourself on the dancefloor, but also soothe you if you go home alone. "It took me three years to complete it," Martina says proudly. "Every song on there has emotions, so it really captivates you. I wanted to make an album where any age group can enjoy it. It's not too hard, not too soft-it's perfect." Book Mia Martina for shows and concerts at Heavy Rotation booking agency. Worldwide Bookings with HR Booking. Mia Martina Booking, Book Mia Martina. 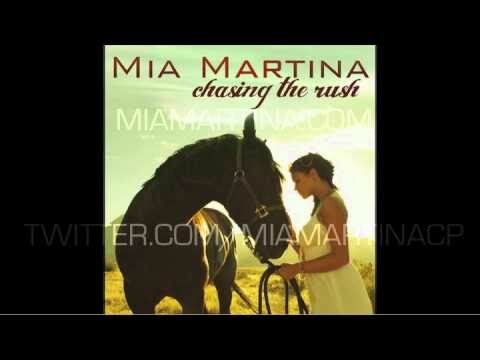 Book artists like Mia Martina, Mia Martina booking agent, contact Mia Martina email, Mia Martina manager, Mia Martina management for concerts, bookings, biography, pictures, videos. 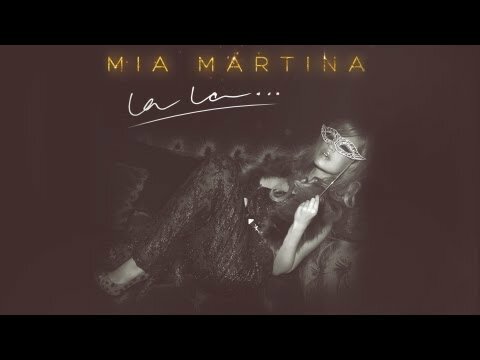 Mia Martina may be available for your club shows, private party, festivals or other events.